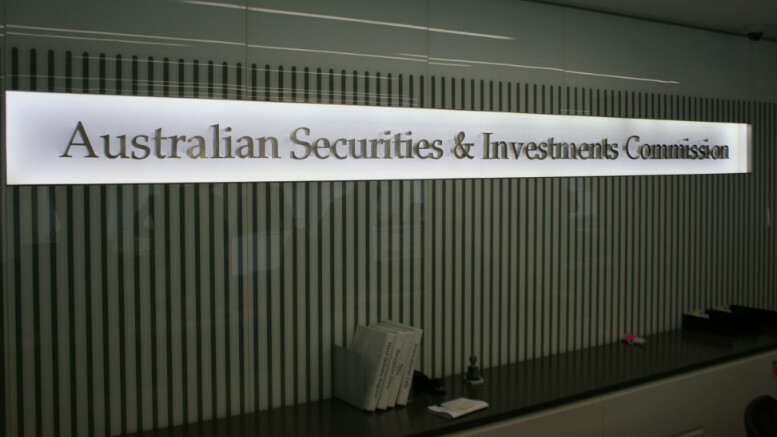 ASIC has set its sights on Andrew Wily and David Hurst. ASIC is going after liquidator Andrew Wily in relation to Crystal Car Wash Cafe. The corporate regulator has ensured 2017 starts with a bang by asking the NSW Supreme Court to inquire into the conduct of Armstrong Wily principal Andrew Wily and former partner Dave Hurst in relation to their conduct of liquidations associated with Crystal Car Wash Cafe. Neither defendant was free to comment when contacted by SiN. The full text of the ASIC release follows. ASIC has lodged an application requesting the Supreme Court of NSW inquire into the conduct of Sydney liquidators Andrew Hugh Jenner Wily and David Anthony Hurst concerning the performance of their duties as joint liquidators of 12 companies to which they had been appointed. At the time of their appointment, Mr Wily and Mr Hurst were partners of Armstrong Wily. Mr Wily remains a partner of Armstrong Wily. Mr Hurst is now a director of the firm HoskingHurst Pty Ltd.
ASIC seeks orders that Mr Wily and Mr Hurst be prohibited from practising as registered liquidators for such period as the Court sees fit. The matter has been listed for directions on 9 February 2017. Under the Corporations Act 2001, ASIC may apply to the Court to undertake an inquiry where it appears that a liquidator has not faithfully performed his or her duties. Prior to their liquidation, the companies provided either administrative, carwash and/or café staff exclusively to Crystal Carwash Café Pty Limited (Crystal Carwash). Mr Wily had previously conducted the liquidation of 7 other companies that had also provided carwash and/or café staff exclusively to Crystal Carwash. Crystal Carwash operates a number of carwash sites at various locations across the Sydney metropolitan area. Be the first to comment on "ASIC asks court to ban Wily and Hurst"